Recently I attended an invitation only conference in Atlanta, GA. It was not one of the huge, multi-session, thousands of attendees, $300 ticket + lodging conferences. It was called Conversations with Coca Cola, and honestly, I had no idea what to think. In all obviousness, the brand had an interest in educating myself and 20 other social media savvy female bloggers at this small, yet informative affair. But why? We had a 2-day schedule that was packed with fun and informative sessions, food, wine, cooking lessons, crafting, and even a tour of the World of Coca Cola. The various conversations we had were mutually beneficial. They picked our brains and we picked theirs. We learned about the various inter workings of Coca Cola, the awesome brands under their umbrella (did you know Smart Water and Odwalla are Coca Cola brands? ), and their social responsibility, contributions to the community, and commitment to sustainability throughout the company. There were lovely presentations from their retail partner, Target, as well as Odwalla and their line of nutritious products. We also learned a little about ourselves and our own brand via an eye opening contribution to the conference from Babble writer Catherine Conners. Oh, and we enjoyed endless amounts of Coca Cola. Diet, please. Coca Cola is dedicated to the notion that we should all “Live Positively“, doing our part to contribute to education, balanced living, our communities and the planet. They have taken the first step by creating the “Live Positively” website and have carried out many initiatives to do just that. The most recent, 5 by 20, is Coca-Cola’s commitment to empower 5 million women entrepreneurs worldwide by 2020 via financial, mentorship and business skills support to help run a thriving business. Recognizing that women are mostly the anchor in the family unit, investing in women’s businesses will help ensure their success and that of the community and the growing economy. A bunch more brands that fall under the Coca Cola umbrella: Smart Water, Odwalla, Fuze, Minute Maid, Powerade, Illy, Fanta, Honest Tea, Simply Lemonade, and a ton more! The company has a large focus on health and living well within the company and their products. Coca Cola knows that whole nutrition is very important, employing a slew of Living Well specialists, which includes registered dieticians, nurses, scientists and other health consultants. 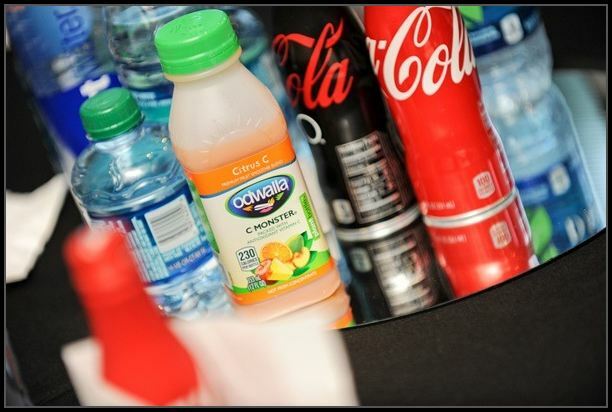 At the school level, Coca Cola does not offer sodas in elementary and middle schools, but healthier beverage options, such as fruit juices and bottled water instead. They also recognize that America has quite the obesity issue, carrying over 180 low or no calorie beverage choices. Coca Cola is passionate about the environment and treading lightly on out planet. Reggie Prime, Director of Environmental Affairs, shared Coca Cola’s philosophies on water treatment and conservation, recycling efforts, lighter packaging materials and other environmental issues. One neat fact: 14 gallon syrup barrels cannot be re-used, so they are donated to countries around the world and used as rain collectors. Great way to conserve and add to the water supply! Blogging has become huge, so huge that large companies (Coca Cola, Disney, etc) are recognizing and taking note. Female bloggers, specifically “mommy bloggers”, have grown at extensive rates in the past couple of years and are seen as a trustworthy, realistic voice and an avenue to convey information off and online. 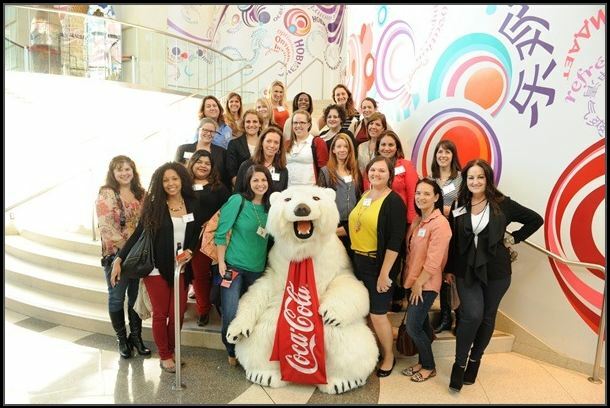 Women make up about 2/3 of the purchasing decisions in the food and household products industry, so Coca Cola has recognized the need to tailor their marketing approach to women. The “5 by 20” initiative (mentioned above) is just part of Coca Cola’s message of empowerment to women. 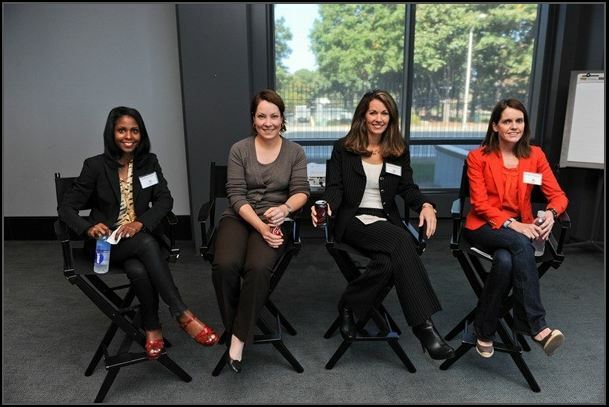 Women in the Workplace, a lovely panel of 4 executive level women at Coca Cola with 12 children among them collectively, shared their stories about their careers, their personal lives, and how they mesh the two. How do they balance motherhood and a successful career? By realizing that you cannot be everything to everyone, all of the time. Be the best you can be, where you are. Inspiring. 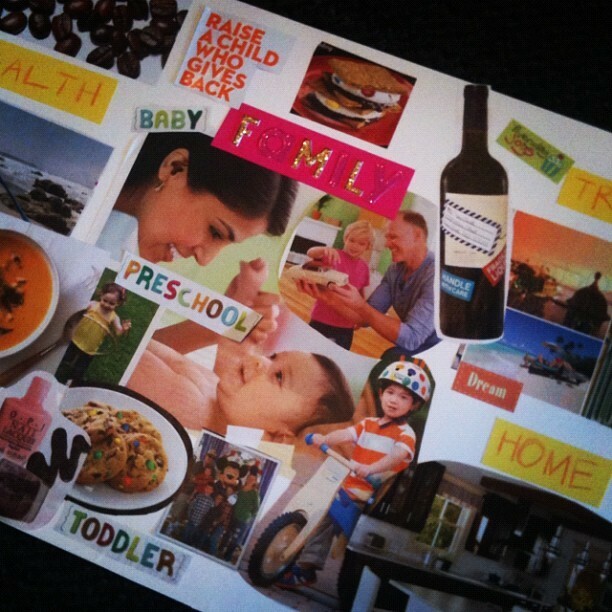 We got a chance to create our own vision boards based upon the way we see our brands and ourselves. My personal life and my brand definitely collide. I write mostly about my experiences as a mom, family happenings, things we do, love, eat, the works. My board is my life; FAMILY is smack dab in the middle. Surrounding it are a few different things that are important to me: health, food, home, travel, and scattered about are my personal indulgences. Note the bottle of wine. I learned to focus on my brand and how important it really is to know your purpose and how you are seen by others. I don’t quite have this down yet, we were asked to sum our brands up in one word. I still don’t have it. I think that realizing the fact that I am a real voice in the community, that is being heard, that people look to, that big brands are paying attention to, is the most gratifying revelation. When I started blogging in 2009, it was for fun. 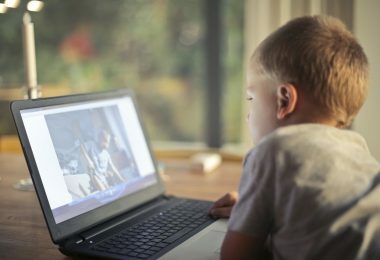 My son was born, I was trying out the whole “work at home mom” thing and writing about both of them in the process. Fast forward to 2012: look how much attention that blogging mothers have gotten worldwide. Gah! I love the Cranberry Orange Odwalla bar and their Superfood beverage. I normally wouldn’t have tried it, but once you get past it’s greenish-brown color, it’s totally awesome – and good for you, too! I also loved visiting the World of Coca Cola museum. It’s full of the brand’s history and has a vault with the secret formula of Coca Cola inside. There is a tasting room where you can try all of the sodas sold around the world. The best: Fanta Melon, sold in Japan. The worst: Beverly, sold in Italy. So why do I blog? Everyone should have an idea of why they do what they do. I do it because I love it. It’s a creative outlet. It’s a place to share with others. It’s a place to rant and rave over whatever I darn well please. It’s a pathway to reach like-minded people around the world. Now, it has become a way of life. 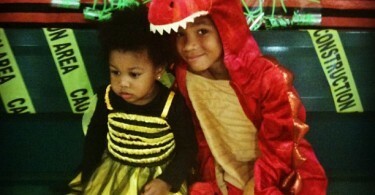 Make Sharing Count: Halloween Fun and Surprises! 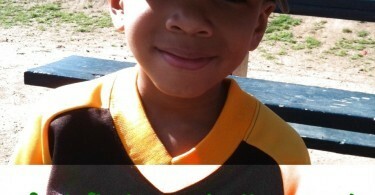 Love your board with….”Raise a child who gives back”! This looks like a great conference!!! I love your recap! Coca cola is one of my favorites! What an awesome recap! I so enjoyed getting the opportunity to meet you and I came away with many of the same great feelings. Our voices are powerful and it’s awesome that people are listening! Loved meeting you at this conference! I agree, it was a unique experience and I definitely came away appreciating both the range of products Coke is involved in, and how they really seemed to take their global responsibilities seriously. 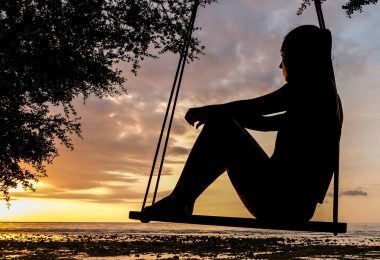 You brought out some great points that I had forgotten – excellent post! Oh, and also it was just plain super fun, wasn’t it?! ;-D Hope our paths cross again. Great post–informative and easy to read!